There are some people who could spend hours and hours every day in stores shopping for everything from groceries to clothing to furniture and a whole lot more. Then there are those who either hate to go shopping or simply do not have the time. They would much prefer to get everything they need in one shopping trip, preferably in one convenient location. Let’s say you are looking for quality furniture for your home. 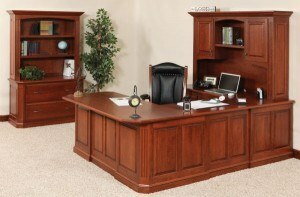 Amish furniture is always an excellent option, and you can create your wish list for Amish furniture online. Once you have picked out everything you want, you can visit the Amish Originals Furniture Co. showroom in Westerville, Ohio and get everything you picked out. Are you looking at re-furnishing one room in your home, or are you thinking about completely redecorating the entire place? No matter what you need, you can find well-built Amish furniture online, then go to the store to pick it up or have your purchases delivered directly to your home if you live within a 20-mile radius of the store. If you live further away, you can still have your items delivered, but there will be additional charges on top of the regular delivery fee. At Amish Originals, you can find everything you need to furnish every room in your home. If you are looking for bedroom furniture, either for yourself or for your kids, you will find a great selection of solid wood furniture that is built by some of the most famous furniture makers in the world – the Amish. Living Rooms – Beautiful sofas, chairs, rocking chairs, entertainment centers and more can be found online, then purchased when you visit the showroom. Dining Rooms – Whether you need a few pieces or an entire dining set, you can find everything you want at Amish Originals Furniture Co. Beautiful hutches and cabinets are available, and everything is made to the specific Amish standards we have all come to know and appreciate. Home Offices – If you work out of your home, you want your office space to look professional while still being comfortable. Find desks, book cases, chairs and more, all built with the greatest of care. Storage – When you need to store items, you don’t have to use ugly plastic bins or other storage containers. Instead, opt for Amish built book cases, wine cabinets, curio cabinets and even gun cabinets. Outdoors – You can even find items to decorate your outdoor space so it is as beautiful and comfortable as the inside of your home. When it comes to home furnishings, you want to know that your furniture is going to look great, and last for years to come. This is what you will get when you look for Amish furniture online at the Amish Originals Furniture Co. website. Do not forget to check out the clearance page for some amazing deals on the items you love.